Trauma Center: New Blood is the third game of the Trauma Center surgery simulation video game series, for the Wii. 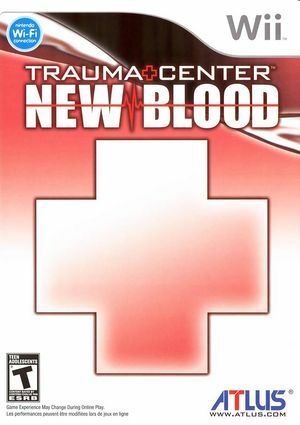 New Blood is a new installment with features not seen in the previous title, including cardiopulmonary resuscitation, a cooperative mode, online leaderboards, full voice-over dialogue and a 16:9 widescreen mode. Direct3D backend causes the game to freeze when loading the burn victim mission. Use OpenGL instead. The graph below charts the compatibility with Trauma Center: New Blood since Dolphin's 2.0 release, listing revisions only where a compatibility change occurred.